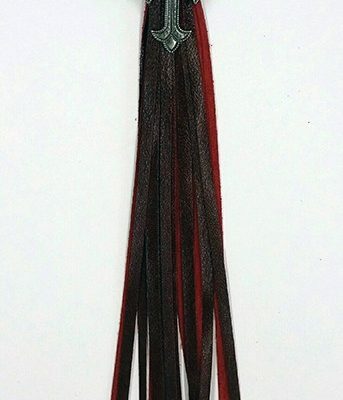 Sixteen inches of long Black Lamb Skin Fringe, with heavy duty nickel ring snap and key ring and an engraved silver cross with a turquoise cabochon center. Attach it to the strap hardware on your purse to keep keys within easy reach. Black Lamb Skin Fringed Keychain with Silver Cross is the perfect sassy complement to your MoonStruck Concealed Carry Purse. Keys stay handy, and outside of the purse confines, so they’re available when you need them. 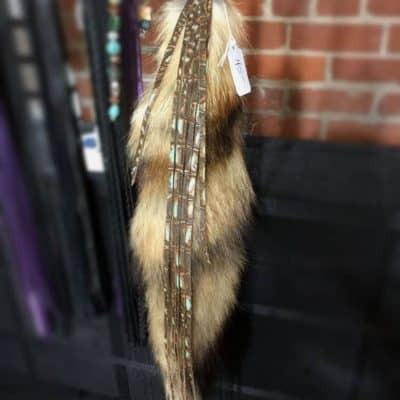 We’ve crafted our fringed keychains out of cow or lamb skin, hand cut layers of the best hides, and added beads and pendants to give some sparkle and personality. Pick out one or two to change the look of your purse or to match your current style.